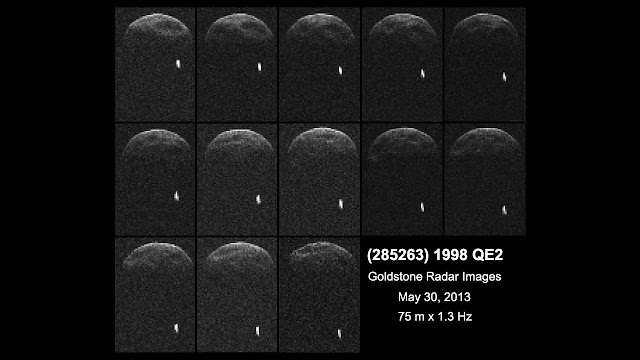 Tomorrow's flyby of this asteroid just got a lot more interesting. 2.7 km across for the main asteroid and 600 metres for the moon makes this a very interesting system. Since we won't be seeing an approach this close for a few hundred years, a dedicated mission (or a mission to elsewhere that flies by 1998 QE2) will be the only way to truly see this body up close after the relatively better images we obtain starting tomorrow.